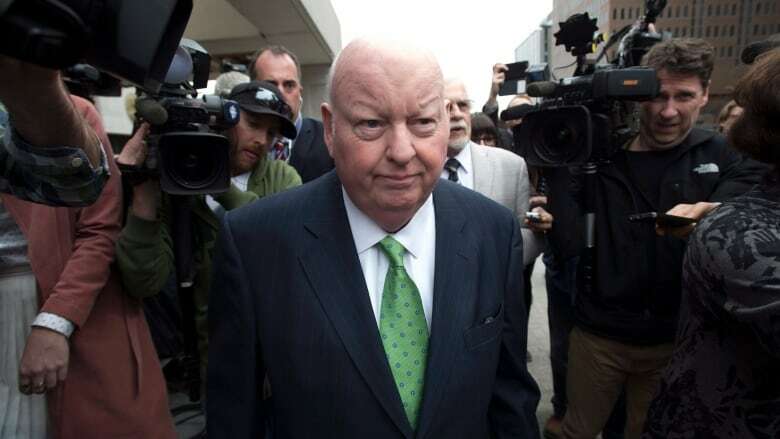 Mike Duffy cleared of all charges, but was he vindicated? After 62 days of testimony, Mike Duffy was found not guilty of 31 criminal charges. The ruling was an exoneration of the senator and an excoriation of the Prime Minister's Office, under Stephen Harper. 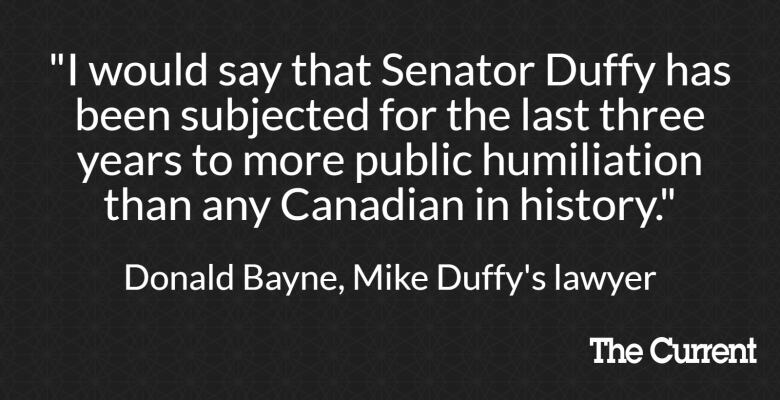 Can the ruling be described as a "win" for Senator Duffy? On April 21, Senator Mike Duffy was cleared of all 31 criminal charges — fraud, breach of trust and bribery. The veteran broadcaster chose not to take the microphone himself, leaving the talking to his lawyer, Donald Bayne. The judge's decision had damning words for former Prime Minister Stephen Harper's Office: calling the PMO's conduct, "covert, shocking, [and] unacceptable." While the senator from Prince Edward Island was, in contrast, described as "reasonable and honest." But after three years of legal limbo, and 62 days in court, can the decision be described as a "win" for Senator Duffy? Nicholas Köhler, freelance journalist who has been covering the Duffy trial for Macleans, joined guest host Piya Chattopadhyay to share his insights on this story. This segment was produced by The Current's Julian Uzielli and Paula Last.